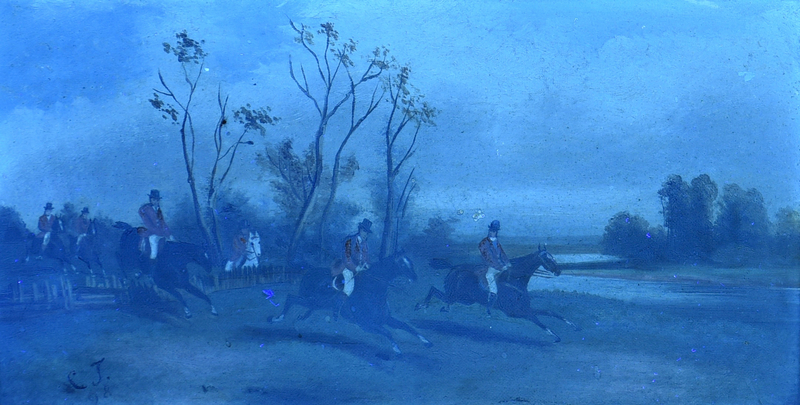 Two 19th century English Horse Paintings. 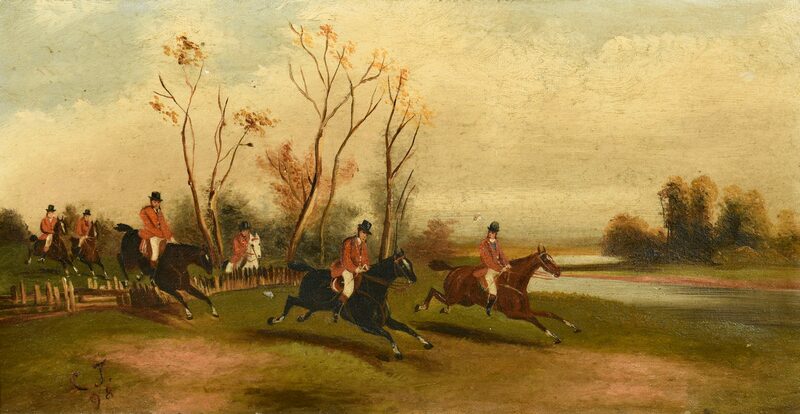 1st item: Oil on canvas English fox hunting scene depicting hunters jumping a fence with a river in the background. 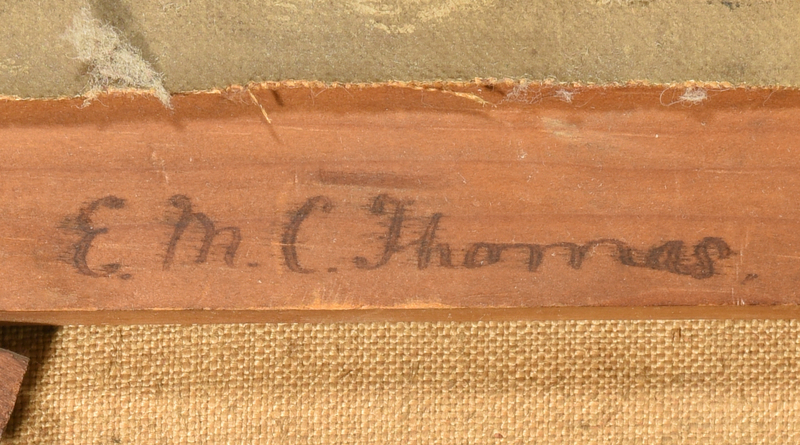 Signed and dated "C. T. 98" lower left, signed "E. M. C. Thomas" back of frame. 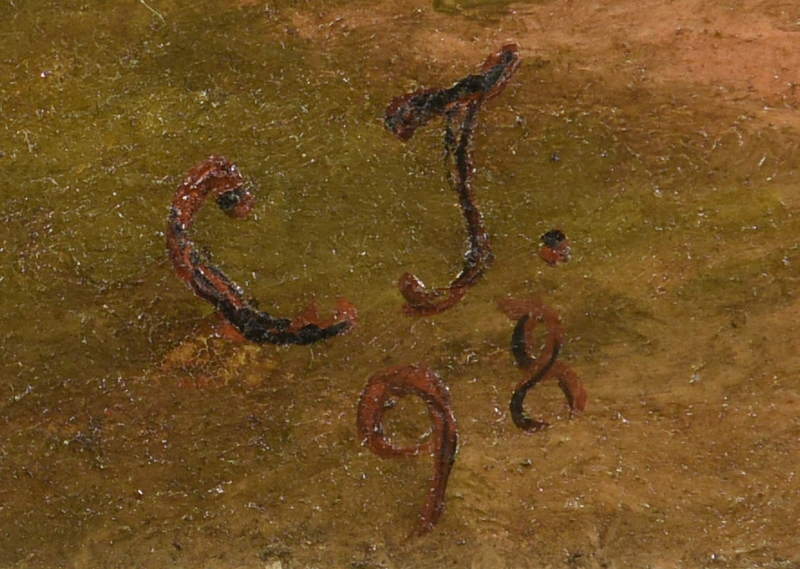 Housed in giltwood frame. 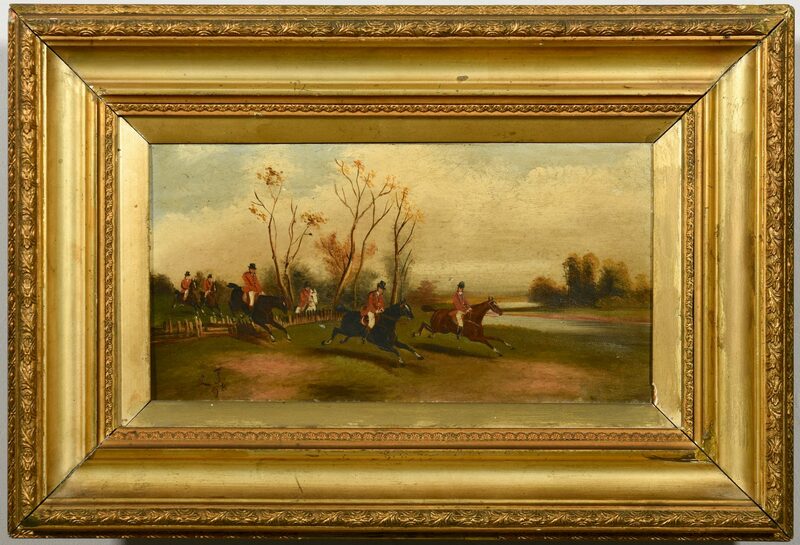 Sight – 6 1/4" H x 12 1/4" W. Framed – 13" H x 19" W. English, late 19th century. 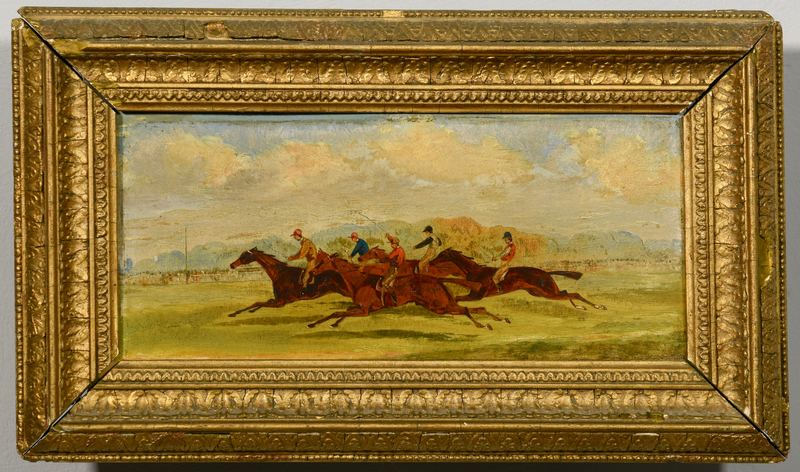 2nd item: Oil on board depicting a group of 5 jockeys on horses, foreground with spectators in background, unsigned. Housed in giltwood frame. 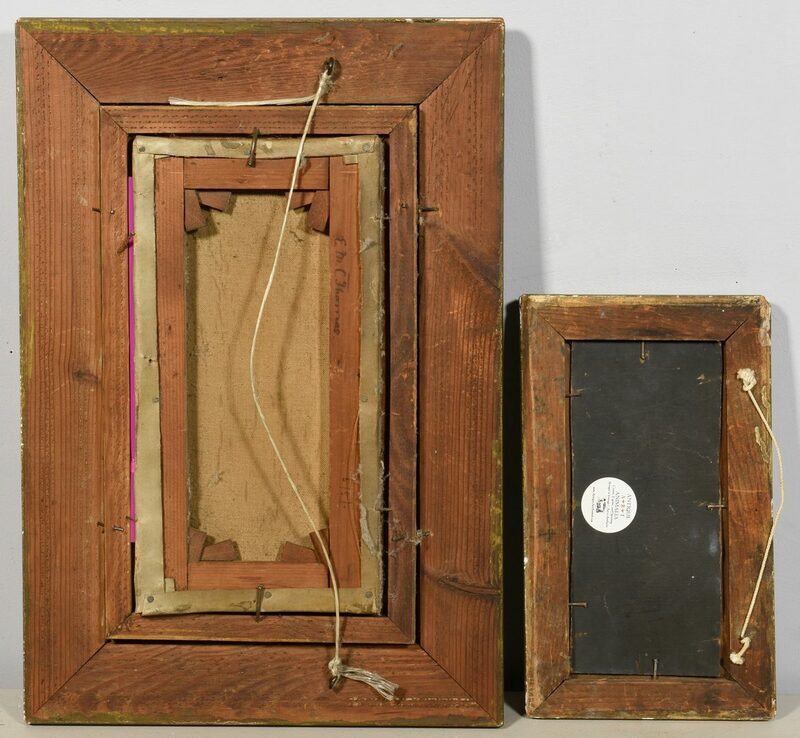 Sight – 3 5/8" H x 8 3/8" W. Framed – 6 3/4" H x 11 1/2" W. English, late 19th century. CONDITION: 1st item: Surface grime. Cracks and losses to frame. Small repair to image below fence revealed in blacklight photo. 2nd item: Surface grime. Cracks and losses to frame.